I have to admit, I love summer. Sunshine, vacations, summer clothes, daylight even in the late afternoon, cocktails, ice cream and flip-flops – and most importantly HOT weather that is a crucial “ingredient” for what we call Kovászos Uborka in my beloved country. 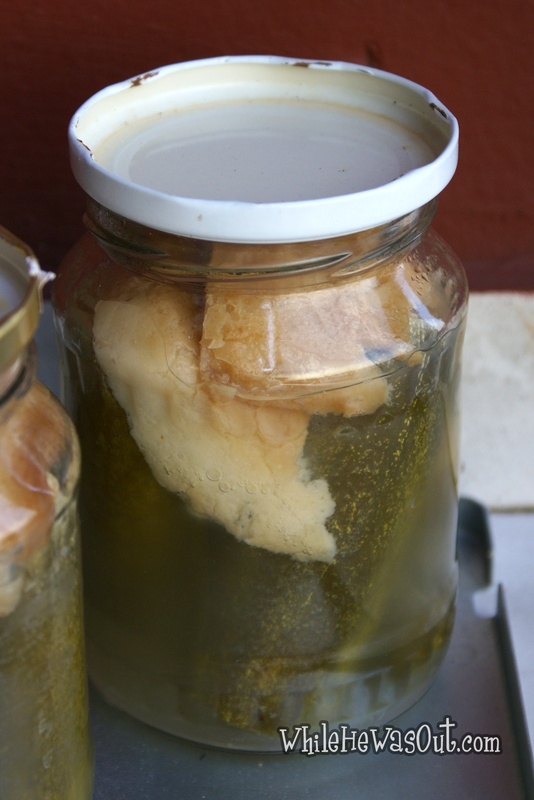 For many people the first encounter with this pickle decides love or hate for the future, so make sure you make a big bunch because this one is delicious!! 1. 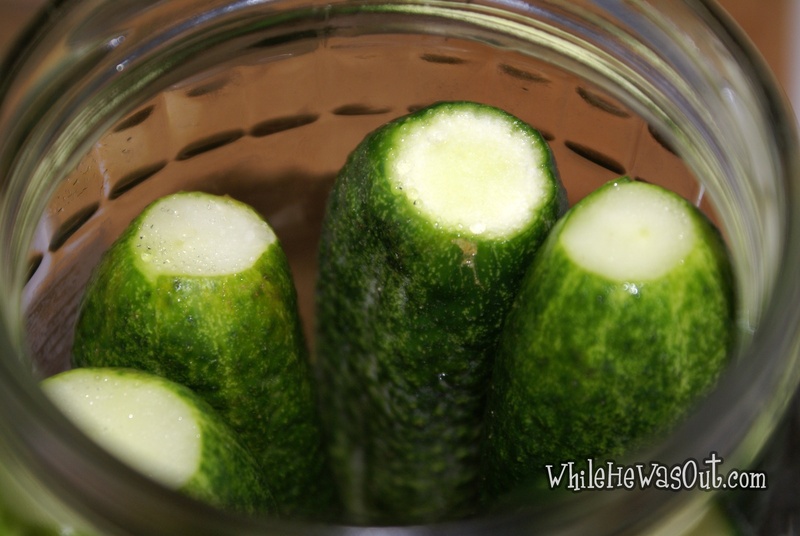 Wash the pickles and cut the ends. 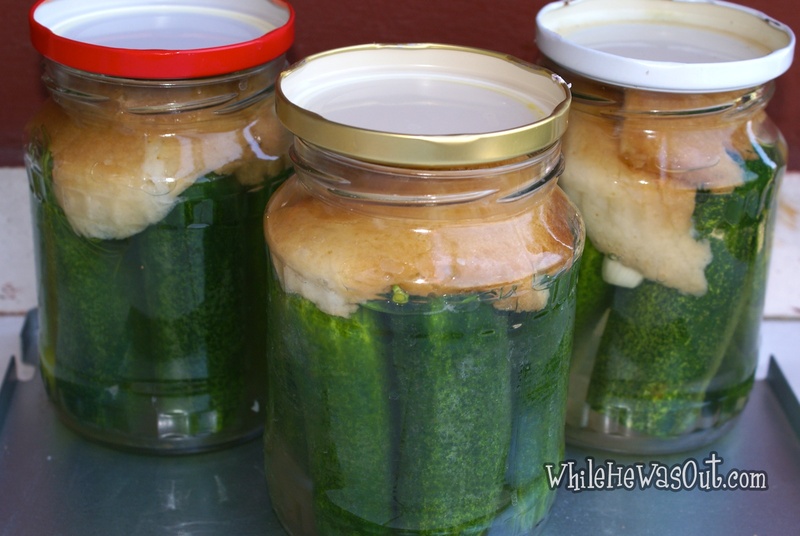 Place them in a big jar (or small jars, like I did, having no big jar at home). 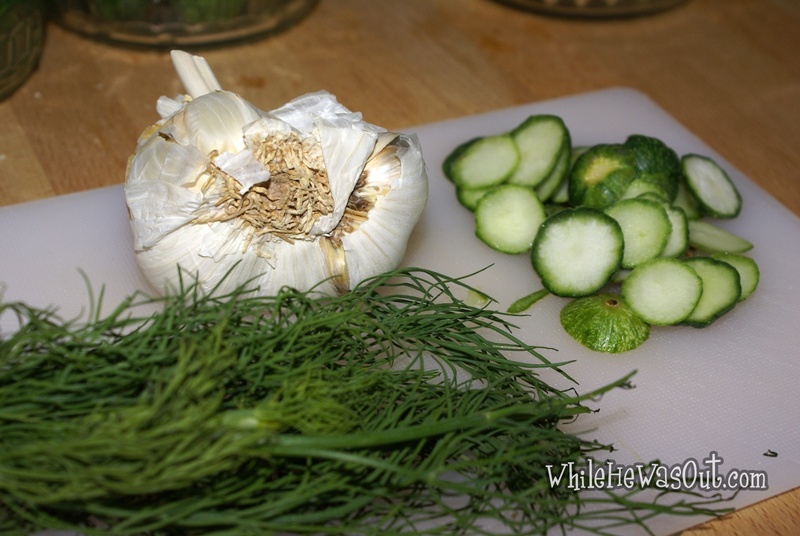 Push a garlic clove and a small bunch of dill in the middle, place a piece of stale bread on top and fill the jar with hot! salted water (don’t be shy with the salt:)). 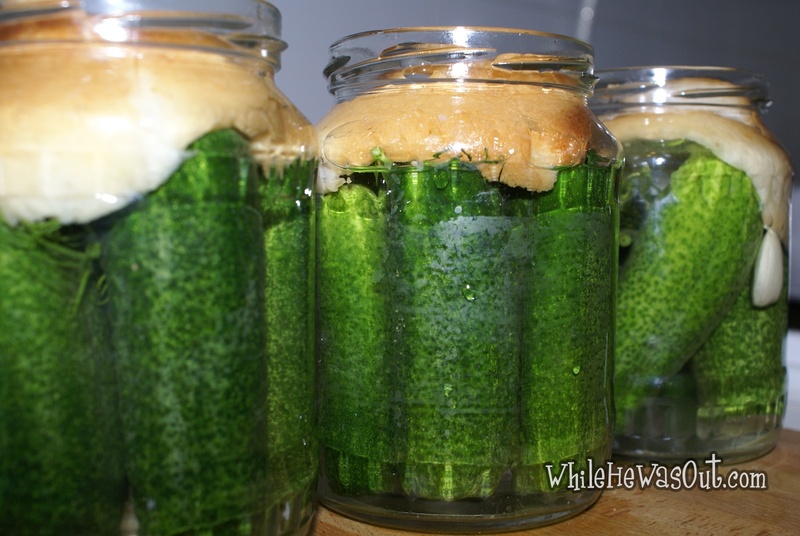 Cover the jar with a plate or the top of the jar (don’t seal it!) and place it where the sun can hit it (balcony, garden, windowsill…). I like the use of the bread! Why do you use the bread. I’m an old grandma and never heard of this before. Does it mold? Hello Pamela! It doesn’t mold. 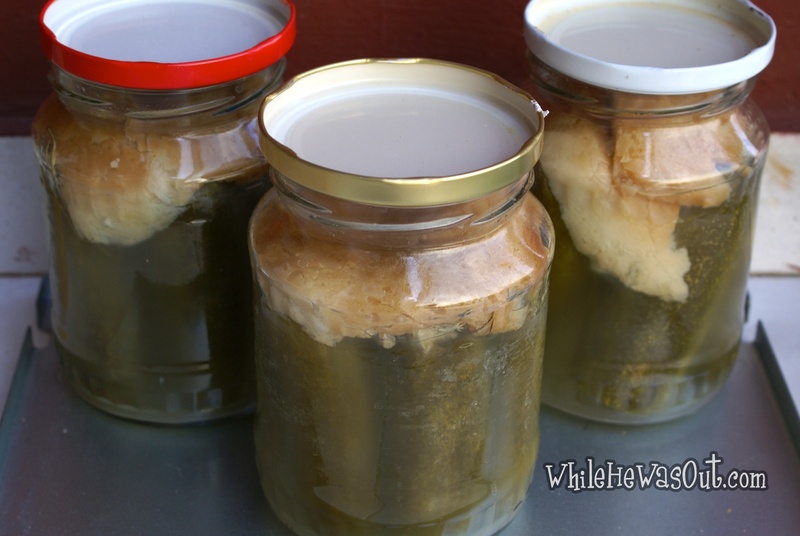 The yeast in the bread is what helps the gherkins to ferment and get that staple taste.